Mosaic has launched the Enterprise Challenge 2016 competition for secondary schools with the help of some of the UK’s most prominent entrepreneurs and business people. The launch saw winners of the 2015 competition, ‘Team iRoundUp’ from Skinners’ Academy in Hackney, London, publish and present a letter to UK business leaders urging them to encourage their staff to volunteer and mentor on the Enterprise Challenge. The pupils – Agnieszka, Daisie, Elif, Mark and Matthew – also attended an event hosted on Mosaic’s behalf by Lord Rumi Verjee CBE, Founder of Domino’s Pizza in the UK and Proprietor and Chairman of Thomas Goode & Co.
At the event, the students urged the room of entrepreneurs and business leaders, including James Caan CBE, founder and currently CEO of private equity firm Hamilton Bradshaw, to lend their support in recruiting mentors so that other students may also benefit from a business mentoring experience like they did. They also shared their winning idea from last year’s Enterprise Challenge for an innovative scheme that allows students to donate spare change to a nominated charity from the electronic currency stored on their ParentPay school identity cards. The social enterprise, with Mosaic’s help, is now in the early stages of professional production. A national competition run annually for secondary school students across the UK, and supported generously by the Apax Foundation and Nectar Trust, the Enterprise Challenge is designed to develop and encourage their entrepreneurial skills. Pupils are mentored by experienced business people, culminating in a Dragon’s Den style presentation in front of a panel of judges. In 2015, over 4,000 pupils in 200 schools took part in the competition, mentored by staff from companies including HSBC, Jaguar Land Rover, PwC and Marks & Spencer. The launch of the 2016 competition has been timed to coincide with Global Entrepreneurship Week and the key theme of ‘Making it happen’, which the Skinners’ Academy students are busy doing with their iRoundUp project. 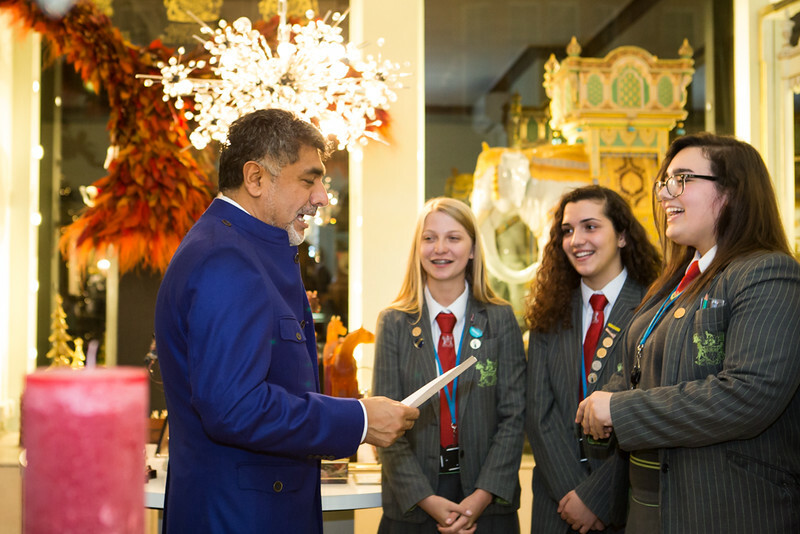 Mosaic’s Chairman, Shabir Randeree CBE, added: “We know that pupils across the country are full of brilliant ideas but they don’t always have the confidence to bring them to fruition, often because they are stifled by socio-economic factors beyond their control. Our Enterprise Challenge competition encourages them to believe that anything is possible. For more information on becoming a Mosaic mentor, please visit the Mosaic Enteprise Challenge page, call 020 7566 8734 or email mosaic@bitc.org.uk.